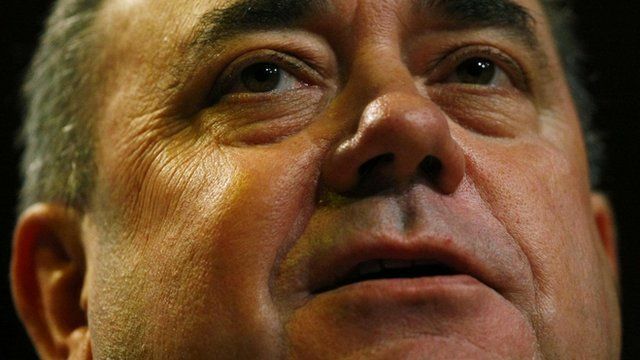 Alex Salmond becomes Scotland's longest-serving first minister, overtaking Labour's Jack McConnell. In an interview with BBC Scotland's Good Morning Scotland programme, the SNP leader listed his achievements during his 2002 days in the job. He told presenter Hayley Millar: "I think the most substantial thing that I am proud of, and the administration should be, is the establishment of a social contract between the Scottish government and the people of Scotland in extraordinarily tough times. "In these difficult times we have managed to both preserve and indeed extend social objectives like the removal of tuition fees, the protection of free care for the elderly, the importance of having a national health service which is free at the point of need to everyone."